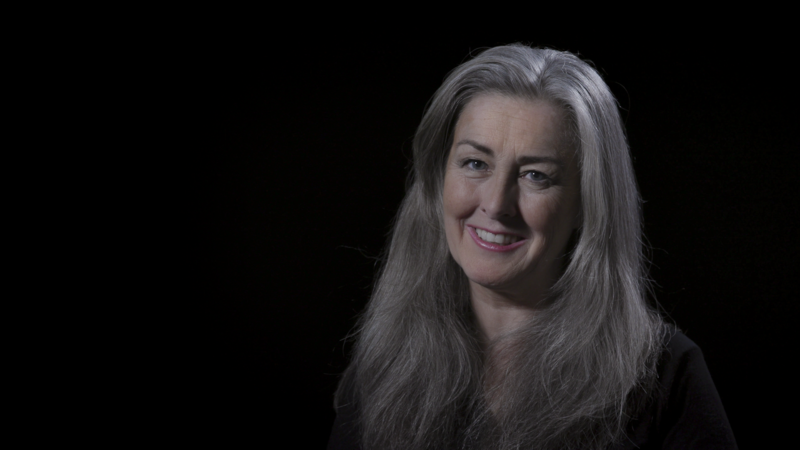 Polly Higgins, the Scottish advocate and expert in ecocide. Polly Higgins is a lawyer with only one client, the Earth. “Earth lawyers are those who are engaging in new laws to protect the Earth and all who live here,” says Higgins. “Ecocide crime … under the ICC will bring prosecutions against not just state entities but also corporate individuals for their failure to protect the Earth for causing serious harm, extensive damage and destruction to a loss of ecosystems,” explains Higgins. Higgins is also calling on you to join her as one of the million Earth Protectors! If you want to know more, watch her video. And ask yourself, if you had only a few weeks to live, would you too be passionately advocating for the rights of the planet? Higgins, sadly, has been diagnosed with advanced and pervasive cancer giving her only a few weeks to live. But she’s still campaigning. Check out more #MyJustice portraits here. The series is made with the help of our sister project HAGUE TALKS. If you like what you’ve seen here, there’s more of it on the HAGUE TALKS website. Our #MyJustice series highlights sung and unsung heroes working to making a positive impact in the world by pursuing different types of justice, from human rights, climate justice and social justice. Polly Higgins is a lawyer with only one client, the Earth. "Earth lawyers are those who are engaging in new laws to protect the Earth and all who live here,” says Higgins. Like any good lawyer, Higgins is a passionate advocate of the rights of her client. She has campaigned for the recognition of "Climate Ecocide" as a crime against humanity, alongside the existing atrocity crimes under the jurisdiction of the International Criminal Court (ICC): “Ecocide crime … under the ICC will bring prosecutions against not just state entities but also corporate individuals for their failure to protect the Earth for causing serious harm, extensive damage and destruction to a loss of ecosystems,” explains Higgins. Higgins is also calling on you to join her as one of the million Earth Protectors! If you want to know more, watch her video. https://www.youtube.com/watch?v=z-Z9Dip_asw&amp;t=8s And ask yourself, if you had only a few weeks to live, would you too be passionately advocating for the rights of the planet? Higgins, sadly, has been diagnosed with advanced and pervasive cancer giving her only a few weeks to live. But she’s still campaigning. Check out more <a href="https://www.youtube.com/results?search_query=%23MyJustice">#MyJustice</a> portraits <a href="https://justicehub.org/my-justice/">here</a>. The series is made with the help of our sister project <a href="http://www.haguetalks.com/">HAGUE TALKS</a>. If you like what you've seen here, there's more of it on the <a href="http://www.haguetalks.com/speakers/">HAGUE TALKS website</a>. 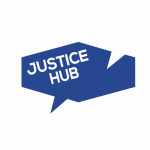 Justice Hub is an online platform connecting conversations about international justice and peace. Our <a href="https://www.youtube.com/results?search_query=%23MyJustice">#MyJustice</a> series highlights sung and unsung heroes working to making a positive impact in the world by pursuing different types of justice, from human rights, climate justice and social justice.